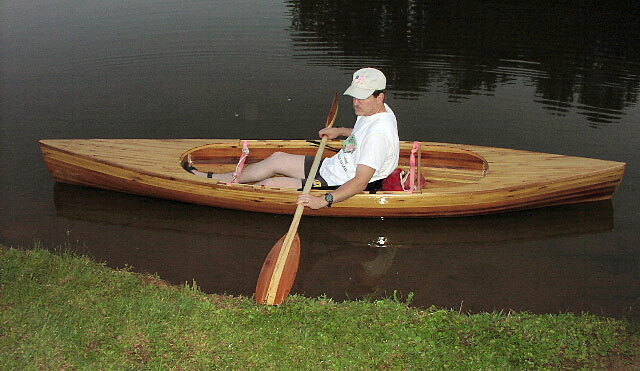 John Hudson modified this Wee Lassie canoe designed by Mac McCarthy by adding decking fore and aft. He used cedar strip planking over Douglas fir stems, then added fiberglass cloth and epoxy. The paddle is made from aspen and cedar. This Wee Lassie is 11'6" long, and was launched in April 2003. Contact John at johneh44077@earthlink.net.